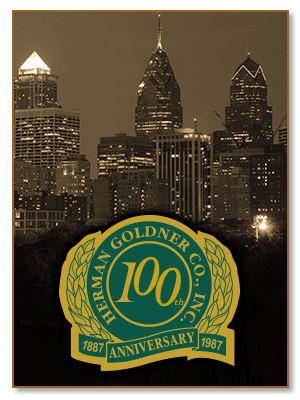 Herman Goldner Co., Inc. (HGC) has been in business since 1887. That's over 125 years of continuing service to the Greater Delaware Valley. HERMAN GOLDNER CO., INC. is a full service mechanical and solutions provider. The Company has committed itself to providing quality craftsmanship with an emphasis on customer service. Meeting the needs of our customers is paramount within our organization. Our experienced team of Account Executives, Project Managers, Engineers and Skilled Tradesmen offer our clients quality, cost-effective solutions. 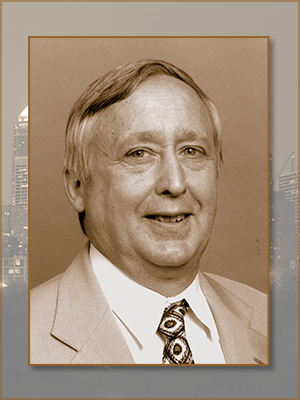 The fundamental concepts of 'integrity', 'service', and 'quality' drove Herman J. Goldner to develop his business in a Philadelphia basement in 1887. He delivered his supplies in a wheelbarrow and on a horse drawn cart. His principle of courtesy, integrity and service became a recognized trade mark and remained as a heritage for the successful business that followed. The Company later moved from a Hancock Street basement to larger quarters at 425 W. Lehigh Avenue, and in 1919 was incorporated under the laws of the State of Pennsylvania. 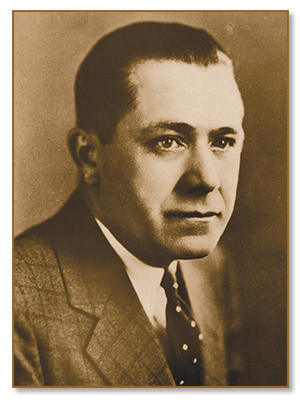 After the death of Herman J. Goldner, Roy J. Goldner, his oldest son, succeeded him and continued to build both prestige and service, guiding the firm through the troubled period of depression until his sudden death in 1943. 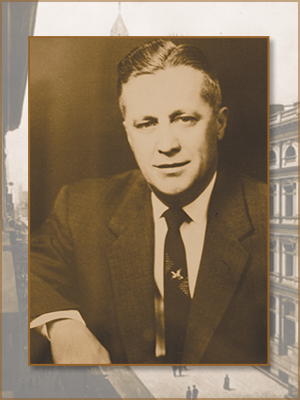 At that time, Herman W. Goldner, youngest son of the founder, assumed leadership of the company. Herman W. Goldner had entered the business in 1929 and served as Treasurer and Vice President before he assumed the Presidency. It was during this era that the company emerged as a leading Mechanical Contractor and Industrial Distributor in the Delaware Valley Area. Davis R. Super, an employee of the company since 1932, was elected President in 1959 after the untimely death of Herman W. Goldner, and he served in this capacity until his retirement in 1964. 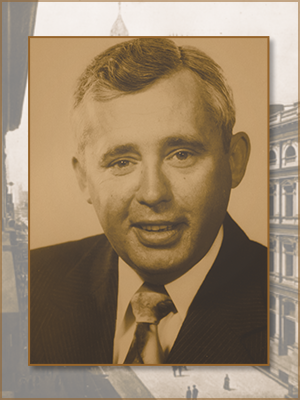 Herman E. Goldner, grandson of the founder, succeeded Davis R. Super as President. Continued expansion and growth necessitate a move to new and larger quarters on Hunting Park Avenue in November 1964. 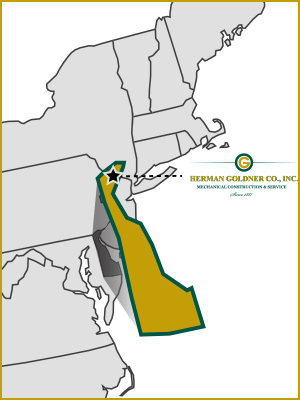 The opening of a branch operation in New Castle, Delaware in November, 1970, to serve the Petrochemical and Refinery industries. 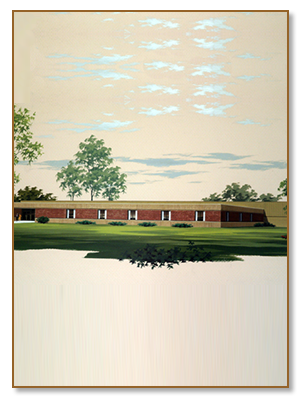 In 1979, a new facility was opened combining all operations at 7777 Brewster Avenue, Philadelphia, PA on 12 acres of ground and comprising over 100,000 square feet of office, warehouse and pipe storage space. 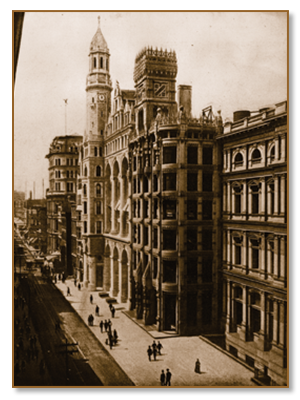 In May of 1987 the company celebrated its 100th anniversary. The growth of the organization was guided by the principles of its founders and the ability and experience of many employees. 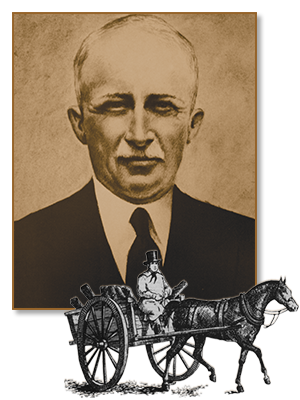 Loyalty from these men and women, as well as our customers, was the bedrock upon which Herman Goldner Co., Inc., was built. 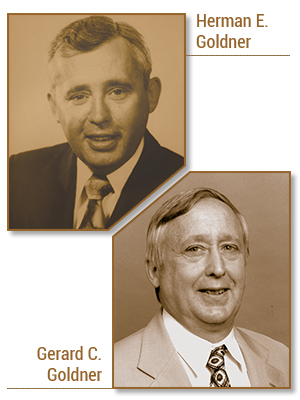 In 1995, the Board of Directors elected Herman E. Goldner to the position of Chief Executive Officer and Gerard C. Goldner was elected to the position of President. Also in 1995, the company expanded for yet another time by building, on the Brewster site, a separate 10,000 square foot state-of-the-art office facility designated the Technical Center. This building houses our Construction Planning and Computer Aided Drafting (CAD) Group, and our Mechanical Services and Building Automations Group. 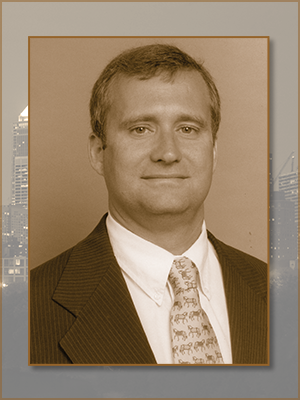 In July of 2000, Gerard C. Goldner assumed the role of CEO and Stephen J. Williams, a former Divisions Manager and Vice President, was appointed President/COO of the corporation. In June 2008, Gerard Goldner retired and Herman W. Goldner (fourth generation) assumed the position of CEO. 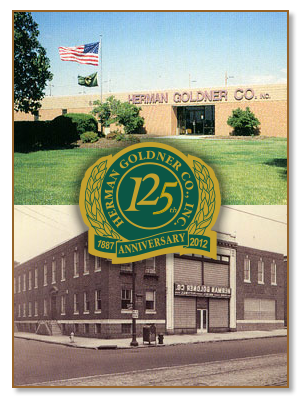 Herman Goldner Co., Inc. celebrates their 125th Anniversary!